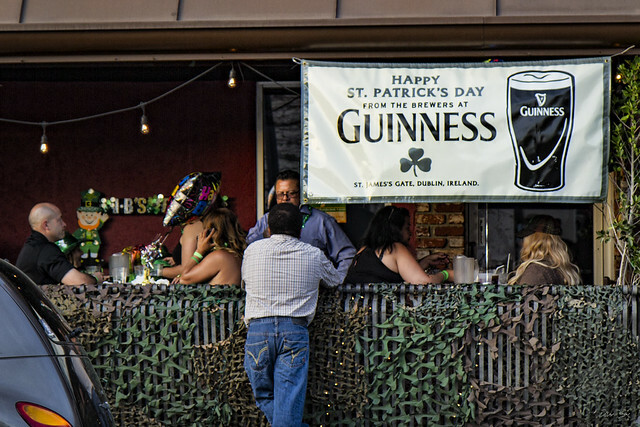 We might not turn Downey Avenue green like the Chicago River, but there are still plenty of St. Patrick's Day celebrations going on in downtown Downey this evening. The biggest one appeared to be at Bastards BBQ, where signs of Irish green were everywhere. Did you know, according to Wikipedia, that Saint Patrick's Day is celebrated in more countries than any other national festival? 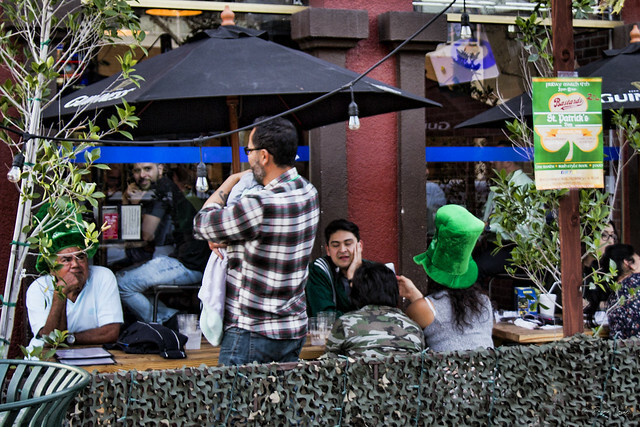 Even though less than 5% of California's population is of Irish ancestry, you'll see celebrations and reminders everywhere. And 83% of us wear green—or risk getting pinched!